Australian telcos’ revenue in 2017-2018 was approximately $42 billion, 70% of the market is SIM only. 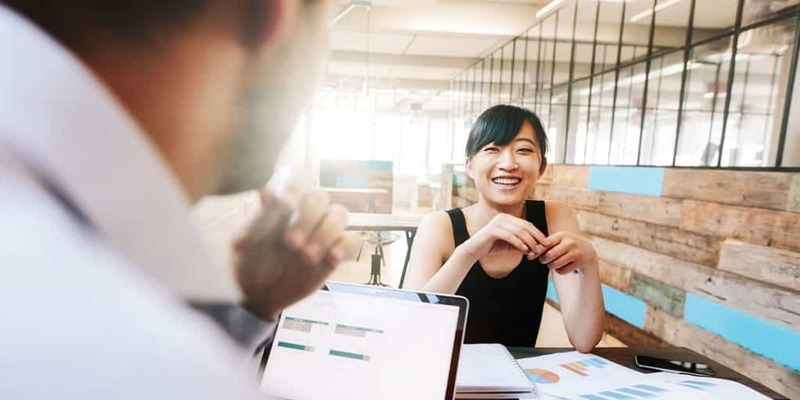 However, with the emergence of new players and advancements in technology, Australians no longer have to be tied down by 24-month contracts in order to get the best deal. Several alternatives to long-term contracts now exist. These alternatives provide value for students, renters, and people who have an unpredictable income, along with those who simply want to avoid long-term commitment. Given the existence of multiple carriers, along with the option to avoid contracts, customer choice is given preference. Customers can choose and change plans on a monthly basis for any reason, with hardly any penalties — if any at all. Avoiding contracts has several benefits, even besides the freedom of avoiding commitment. However, not all non-commitment plans are ideal. In order to find what works best, it’s important to know what features to look for. A quick look at the benefits of such plans, along with the features that improve those benefits, follows. Mobile plans change continuously. Thus, signing up for a 24-month deal can result in a plan that will eventually be overpriced. As plans generally become less expensive, committing to a long-term contract today is likely to mean paying more for less data in a matter months when better deals surface. With a prepaid plan, however, such concerns are nonexistent given the short term, month-to-month commitment. According to a report by Kantar Worldpanel ComTech, prepaid is trending with a 4.5% increase in market share as of September, 2017. That figure makes it the fastest growing segment in the phone plan market. In fact, currently, prepaid plans dominate the Australian market with a 45% stronghold, while contract plans have dwindled to 15%. Missing your favorite match online due to exhaustion of data can be a painful experience. There’s always the option of using extra data, but what happens when the service provider slaps excessive data fees for crossing the prescribed limit? Why pay a premium price and still suffer from inconvenience? Yes, most service providers out there allow customers to upgrade their plans; but downsizing to a lower value plan is always a mammoth task.Prepaid plans solve these problems. When you avoid contracts, you can upgrade or downgrade to any plan as per the requirement. This comes in handy on several occasions, including when traveling overseas, where data isn’t needed for a few months or days. Most contracts require customers to pay a hefty amount in cancellation fees. With prepaid plans, customers no longer have to pay fees for canceling plans or contracts. 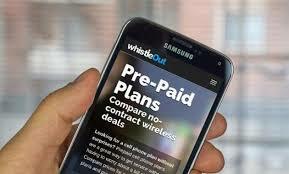 Prepaid services give customers the option of month-to-month plans, where the customer is not penalized for not renewing. Most telco companies prefer locking customers into a contract. This prevents customers from changing carriers whenever they find a better deal at a lower price. If the customer does change carriers, several penalties and fees will be incurred. Prepaid or postpaid plans, on the other hand, enable freedom to search for valuable options with any career. Monthly access fees, activation fees, monthly rate fees – contract plans tend to be riddled with different kinds of fees. In most of the no-contract plans, the customer only has to pay the applicable taxes. Who would want to avoid the contracts? Prepaid plans are usually sought by customers who do not have a set data requirement — such customers’ data usage varies, and is difficult to target. Renters, students, young families and people with no fixed income are also likely to find relief in the no-contract phone plans. Prepaid plans, however, do have some downsides when compared to contract plans. What is the hard side of avoiding contracts? The primary downside of prepaid plans is the fact that the customer has to pay the full cost of the phone. This can mean shelling out anywhere from $100-$300 upfront, or even more, for a decent handset. In contrast, contract plan offers generally include a phone — sometimes, multiple phones. 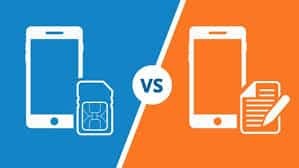 For those who find paying the initial cost of the phone to be a deal-breaker, it’s important to remember the savings accrued in the long-run with a prepaid plan. 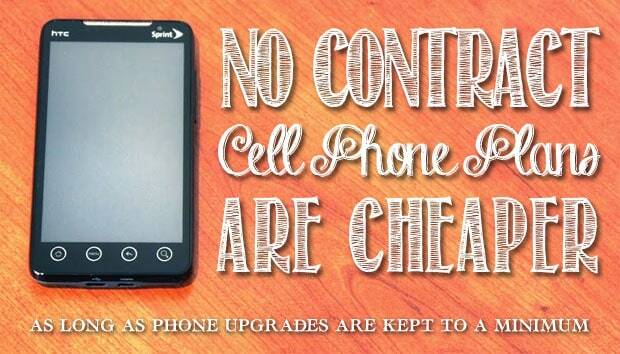 Contracts make it difficult to change plans, switch carriers, cancel data or downgrade data when you want to. However, some customers prefer these plans for their initial savings on hardware purchases, with some offering free, quality handsets. For others, the idea of committing to a long-term contract is a scary thought. Such customers are aware of the benefits of prepaid plans — the freedom of being able to switch plans or carriers, downgrade data, etc., without penalties. Whichever side of the fence you are, it’s important to research the topic to figure out what’s best for you. Knowledge of the features that make a particular prepaid plan better than others — or better than a contract plan — is crucial to deciding value. Carry out your research, weigh your options, and choose a carrier that gives importance to value, your needs, and customer service.